The Atlanta Reign have the distinct honor of representing one of the most colorful and vibrant cities within the United States next year. To take on that massive task, the powers that be at ATL Reign have put together a stellar coaching staff and player base that are both mentally flexible and mechanically gifted enough to bring a newfound hope for a city pulsing with esports enthusiasm. Heading into Season Two, ATL Reign possess many strengths in multiple roles and will be looking to make their first year in the league a successful one by all measures. In this preview we’ll be breaking down the coaching staff, players and fan base that will make Atlanta Reign undoubtedly one of the most exciting teams to keep an eye on both on and off the stage in Season Two. The coaching staff for Atlanta Reign on paper doesn’t seem all that decorated, but Brad “Sephy” Rajani has learned some valuable lessons from his time as San Francisco Shock’s Head Coach last year to not make the same mistake twice. In a recent episode of Oversight, Sephy lamented some of the ‘rookie mistakes’ he made as coach last year, primarily not signing enough players above the age limit last year which constricted SF Shock’s placement in playoffs towards the end of Season One. Even though he incepted the roster that gave SF Shock their glory in Stage Three and Four, he never got to realize that potential as Head Coach due to his firing from that position in May. Regardless, Sephy grabbed his lemons and made lemonade as he was able to take his talents to Last Night’s Leftovers, where they won a spot in Overwatch Contenders just a month later. Only a couple weeks remain until #OWL2019 Opening Day and our guys are looking ready to takeover Blizzard Arena in style! 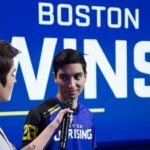 With the new teams being announced for OWL Season Two, Sephy found himself at round two of his quest to become a prominent figure in the Overwatch coaching world and he started developing a crack team of high-tier player developers and analysts that could deliver on his high expectations. In his pursuit, Sephy picked up Dimitri “Silence” Couturet, Cas “Casores” van Andel and Danny Mychakov as his coaching staff, and the player purchases followed soon after. With this team coaching structure, Sephy would be in charge of overall team strategy on a week to week basis, Silence and Casores would work more hands on with player mechanical issues and overall team synergy, and Danny Mychakov becomes the full-time data analyst that provides the math to any player or coaches queries. Simple enough layout, now they just needed the team to compliment their skills as a coaching unit. When it comes to individual skill on Atlanta Reign, it becomes hard to not note the vast amount of technical ability with each player this roster has. Starting with their tank line, one of the key mistakes Sephy made in his first trek at making a team with SF Shock was not having a dedicated Winston main that knew the hero inside and out to provide them that much needed flexibility on the roster. 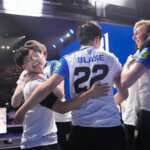 This time around, Atlanta Reign wasted little time finding the synergy he needed with his own Korean tank line at his disposal in Seo “DACO” Dong-hyeong and Park “Pokpo” Hyun-jun. Pokpo and DACO enjoyed previous synergy together as a part of Element Mystic in Korea. To add a little more coverage in that role ATL also picked up Blake “Gator” Scott as a two-way player and development piece that also showed out quite well during Overwatch Contenders (do you know Overwatch Contenders expanded live events for 2019 season?). Further down the line, the DPS core of Daniel “Dafran” Francesca and Jeong “Erster” Joon have been heralded as some of the best incognito signings of the offseason. Dafran, of course, has his reputation about him but the development staff and overall vibe of ATL Reign will do wonders to keep Dafran’s self-destructive nature at bay. Adding to their high level of mechanical prowess at DPS, Ilya “NLaaeR” Koppalov was singled out by his Head Coach as having some of the most insane tracking ability he’s seen from any player, and hinted that NLaaeR will most likely be their Widowmaker pocket pick for the season given his proficiency on that hero. All in all, mechanical ability and flexibility seemed to be the main theme for all of Atlanta Reign as Sephy described it on Thorin and Montecristo’s podcast. Down to their healing core, even players like Steven “Kodak” Rosenberger and Petja “Masaa” Kantanen were given individual praise for their mechanical prowess and much more is left to be desired from this team as Sephy has left his fans waiting at the ready for results to follow this team’s already massive buzz. Who gives you the best Odds? Check out the Best Esports Betting Sites.